Located in the heart of the Exmouth Escape Resort, this family run restaurant features stunning indoor and outdoor settings overlooking beautiful swimming pools and lush gardens. 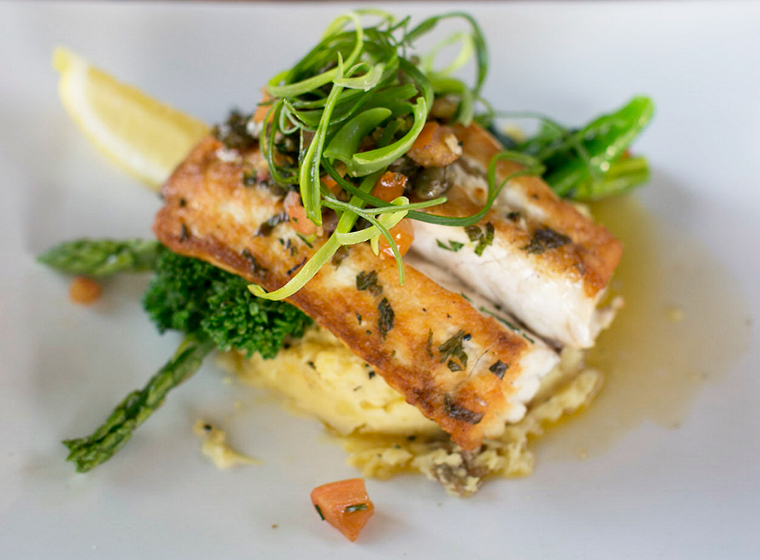 Serving the finest local seafood, steaks and produce available, Whalers prides itself on fresh, honest flavours while providing a relaxed, family friendly dining experience. Live music is a regular feature at the restaurant with solo or duo acoustic acts playing on the deck while you enjoy your meal. Whalers offers the perfect relaxed dining experience to complete your visit to Western Australia’s world famous Ningaloo Reef and surrounds. With a contemporary restaurant/bar plus alfresco decks overlooking sparkling swimming pools and tropical gardens, Whalers offers you the perfect backdrop for a wedding reception that’s uniquely yours. Our relaxed and modern venue is within easy reach of the World Heritage listed Cape Range National Park, home of some of the finest beaches in the world and the perfect setting to tie the knot. 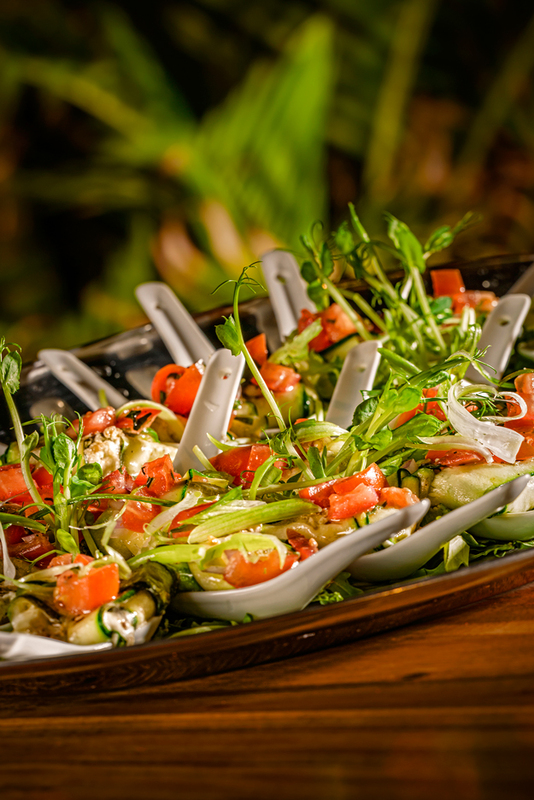 Whether it’s a sit down or cocktail style wedding reception for 80 or 150 guests, our Functions Manager along with our Head Chef can tailor a food and beverage package to suit your needs and personal preferences. We pride ourselves on providing our clients with a personalised, professional and stress-free experience and can assist you in the planning and preparation in the lead up to your special day. 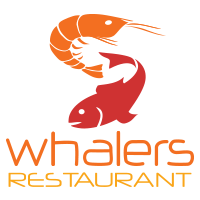 To receive more information about hosting an event at Whalers please contact Paul. 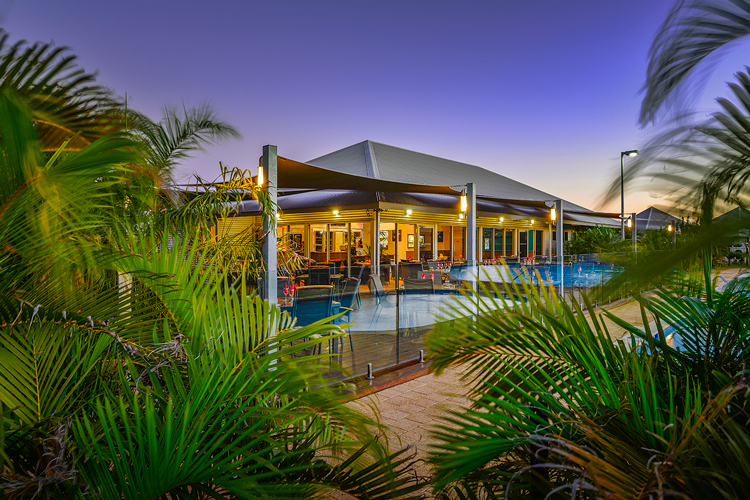 For all your accommodation requirements on site for your wedding or function see exmouthescaperesort.com.au Ask about our discount packages!